The attendance fee is $25 per person, which includes dinner. 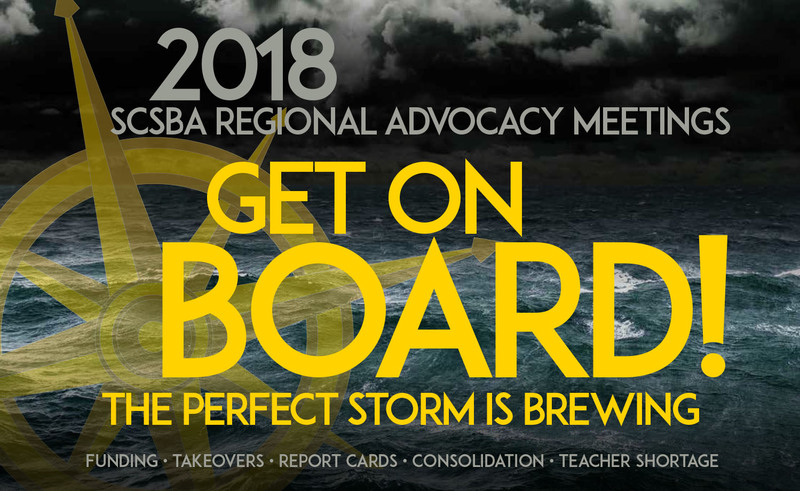 At each location, registration and dinner will begin at 5:15 p.m., and the program will be held from 6 – 7:30 p.m.
School board members and district administrators must register through their board secretary. Registrations by individual members are not accepted in an effort to prevent duplicate registrations, invoicing and credit card charges. Associate members must register through their company’s contact assigned by SCSBA. Registrations by individual members are not accepted.